Discover vibrant local and international flavors at our two restaurants. Savor authentic Hangzhou and Jiangsu cuisine at Xiang Yue Chinese Restaurant on the 58th floor, the highest Chinese restaurant in the city. 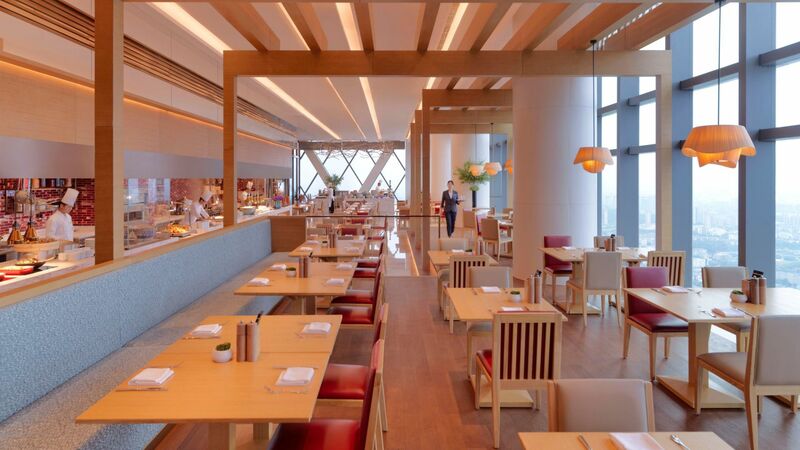 Feast on seasonal dishes from East and West at Market Café on the 57th floor. 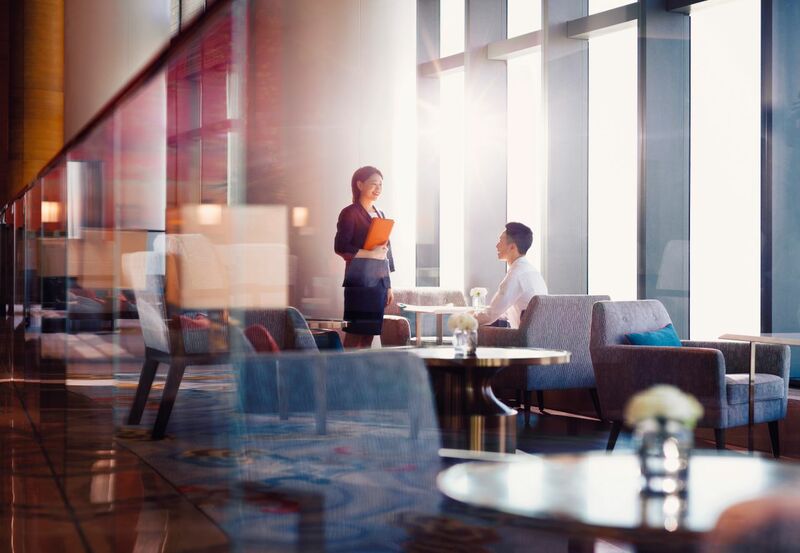 On the same level, residential-style The Lounge is an ideal spot for relaxed afternoon tea or stylish meetings with spectacular views of Zhenjiang. The Pastry Shop on the ground floor freshly prepares gourmet cakes and a room service menu is available around the clock for whenever hunger calls. 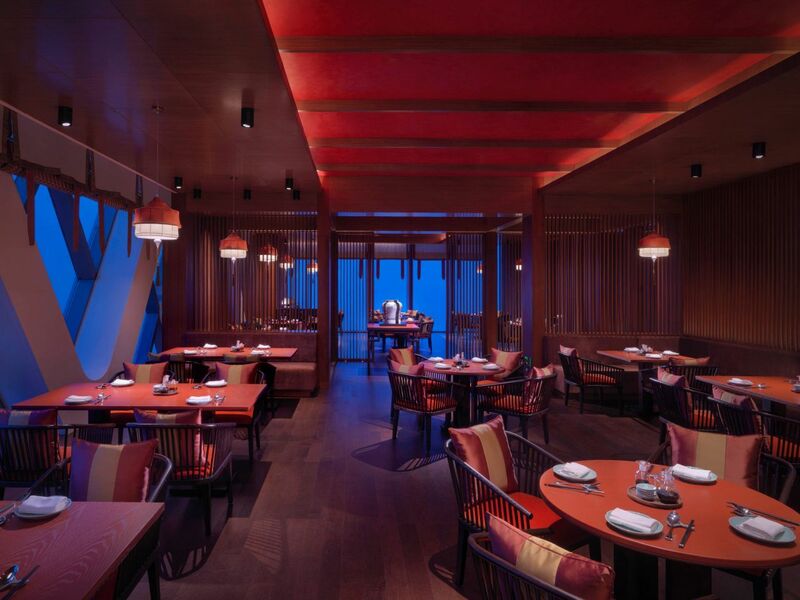 On the 58th floor, the city’s highest restaurant showcases exquisite local Zhenjiang and Hangzhou cuisine alongside regional Chinese favorites. Xiang Yue’s master chefs prepare a menu of authentic and innovative seasonal dishes, accompanied by a selection of fine wines, Chinese spirits and teas. Ideal for business banquets, family gatherings and elegant social dining, the restaurant features seven private dining rooms with panoramic views and service. 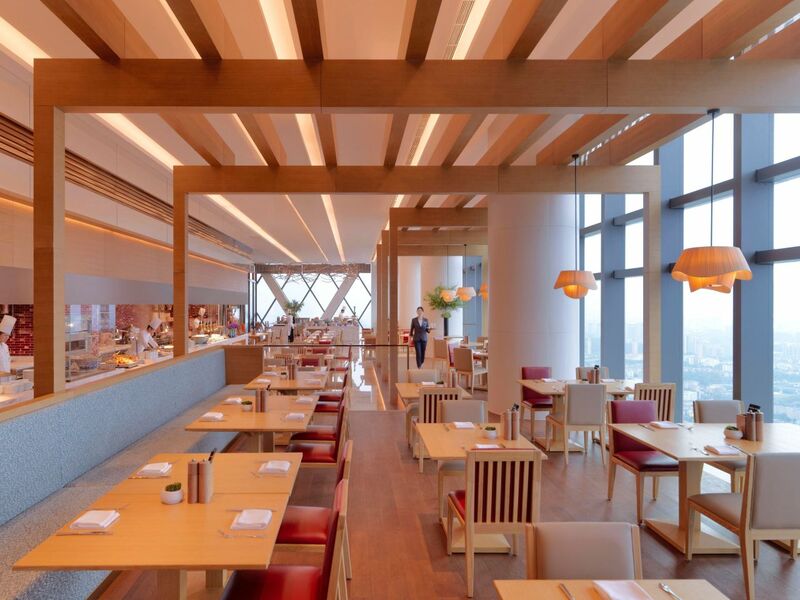 Savor, socialize and celebrate against the dazzling backdrop of Zhenjiang at fashionable Market Café on the 57th floor. This vibrant gourmet destination serves up Chinese and international favorites, freshly prepared at live chef kitchens during the breakfast and dinner buffets, plus an all-day a la carte menu. For elevated encounters overlooking Zhenjiang and the mighty Yangtze River, The Lounge on the 57th floor is a chic choice. Delight in a light meal and refreshment, or meet with friends or colleagues for afternoon tea or cocktails while enjoying the spectacular natural vistas of Zhenjiang from our elegant viewing platform. After dark as the city lights up, a live band sets the relaxed evening ambience. 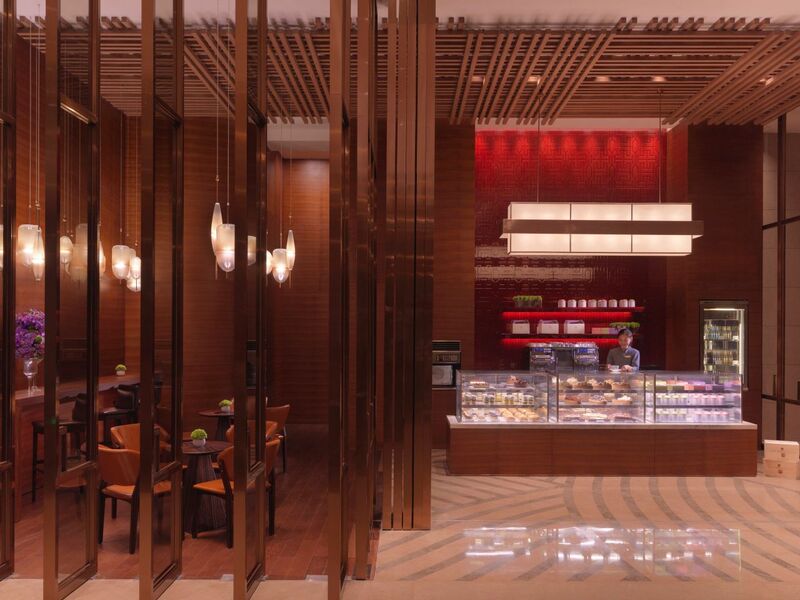 The Pastry Shop on the ground floor freshly prepares gourmet cakes, breads and desserts for grab-and-go ease. Pick-up a fresh croissant and takeaway coffee for breakfast-on-the-run, a gourmet sandwich between meetings or a sweet treat for later. Whole cakes are also available for celebrations.